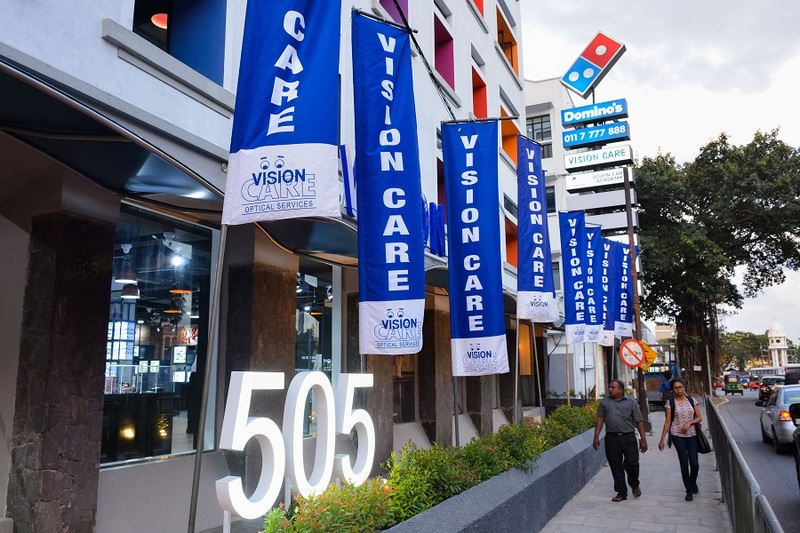 Vision Care Optical Services (Pvt) Ltd, home to many international fashion labels for over 25 years, proudly announces the launch of its exclusive Luxottica branded 505 Store for the first time in Sri Lanka. Luxottica Group is a leader in the design, manufacture and distribution of fashion, luxury, sports and performance eyewear. The Luxottica label features top international designer brands such as Ray Ban, Vogue, Oakley, Dolce & Gabbana, Prada, Michael Kors, DKNY, Giorgio Armani, Emporio Armani, Burberry and Versace. In over 50 years of history, Luxottica has built up a unique wealth of expertise, craftsmanship wisdom and innovation. The exclusive designer store will feature a Kids Clinic on the first floor, a pioneering initiative of its kind in Sri Lanka. The Kids Clinic offers specialized technological instruments, which will enable eye specialists at the designer store to examine children’s eyes amid playful and attractive surroundings to make it a pleasant experience for them. Specially trained staff will be on hand to handle new technology and put into play their special skills in treating children’s eye problems. Vision care is extremely enthused about the Kids eye clinic at the store, which provides a spacious and vibrant atmosphere in which to offer special care for children. It is important to respond to complaints from children about any eye and vision problems, because eyes are treasures that need to be maintained and nurtured for the future. There is a growing trend of children reporting eye problems and Vision Care saw the need for a specialized unit to offer proper screening and care for kids.